An all-new BMW Z4 will be unveiled at the Paris motor show in October. It continues the tradition of open-top two-seat sportscars from the prestige German marque. 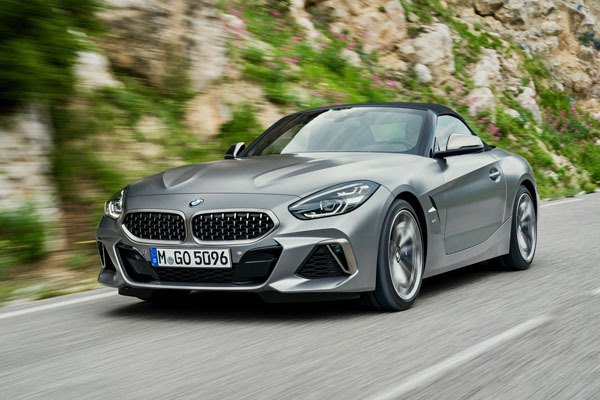 Longer, wider and lower than the about to be superseded Z4 it has striking long-bonnet styling featuring a new mesh-type interpretation of the large kidney grille. For the first time it will have a vertical headlight arrangement. There is a choice of nine exterior paint shades. The fabric soft-top comes in Black as standard or Anthracite with silver effect as an option. It is electrically operated and can be opened or closed in ten seconds at up to 50 km/h. 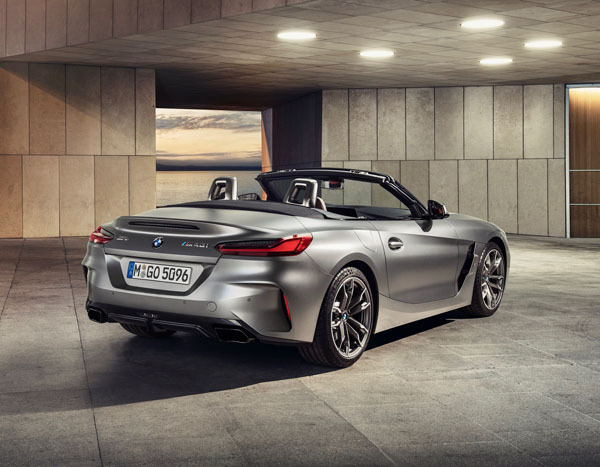 It will be powered by straight-six and straight-four engines, what the halo car being the Z4 M40i with 250 kW/340 hp that can do the zero to 100 km/h sprint in just 4.6 seconds. The striking new Z4 won’t go on sale in Europe till March 2019. Australian dates are yet to be announced but given the popularity of the Z-Series we don’t expect a long delay. It might be an idea to pick up your phone and dial your favourite dealer in case there’s a rush.